Built in 1919 at Pusey and Jones Corp., Wilmington, DE., as SS Coos Bay for the Coos Bay Lumber Co., San Francisco, CA. 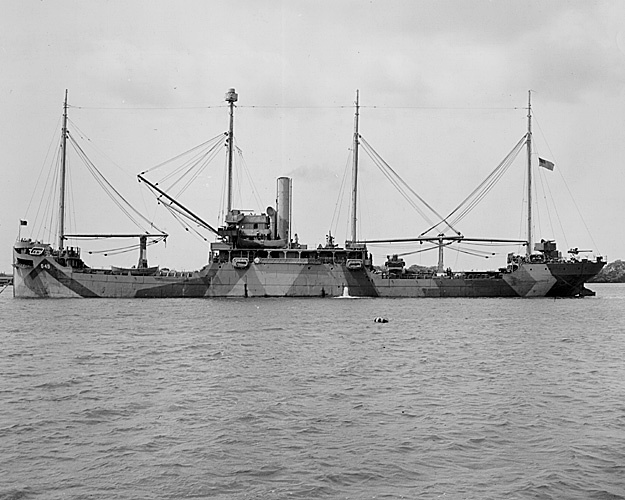 Converted for naval service as a "Q"-ship at the Naval Repair Base San Diego, CA. 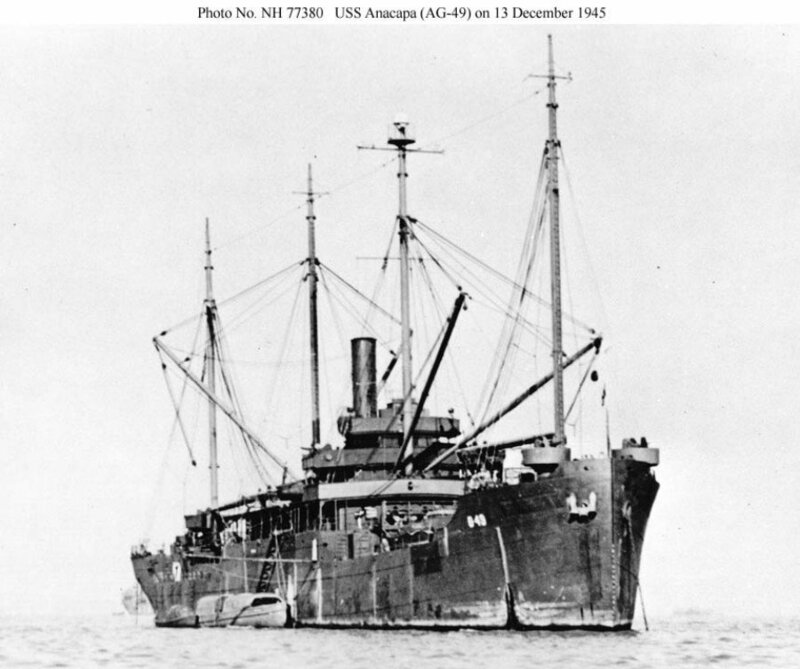 Commissioned, USS Anacapa (AG-49), 31 August 1942, CDR. Albert M. Wright USN (Ret.) in command. 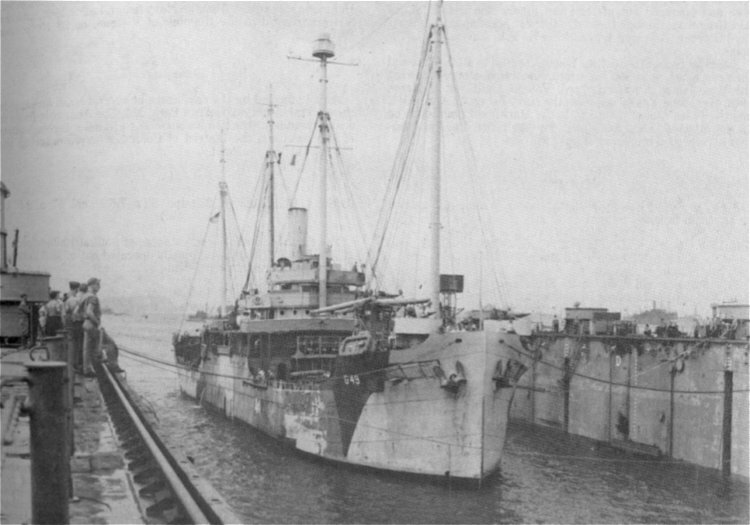 Decommissioned, 21 March 1946, at Mare Island Navy Yard, Vallejo, CA. Transferred to the Maritime Commission, 12 August 1946, for lay up in the National Defense Reserve Fleet, Suisun Bay, Benecia, CA. Largest Boom Capacity 3 t.
two Scotch single-end boilers, 190psi Sat. 108k USS Anacapa (AG-49) probably photographed during 1942 or 1943 while serving as a "Q-ship" (submarine decoy ship) in the Pacific. 48k USS Anacapa (AG-49) yeoman and storekeepers. 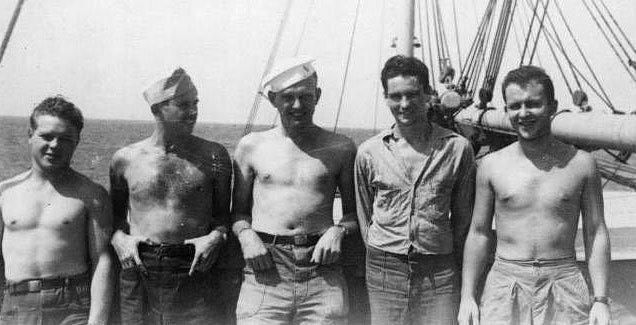 (none of them are wearing a complete uniform, probably typical for Q-ship duty), 1 January 1944, location unknown. 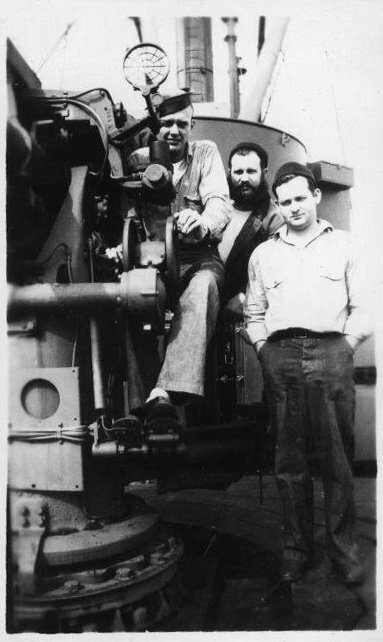 46k USS Anacapa (AG-49) crew and 4"/50 gun mount, these guns were disguised as crates when not in use, 1 January 1944, location unknown. 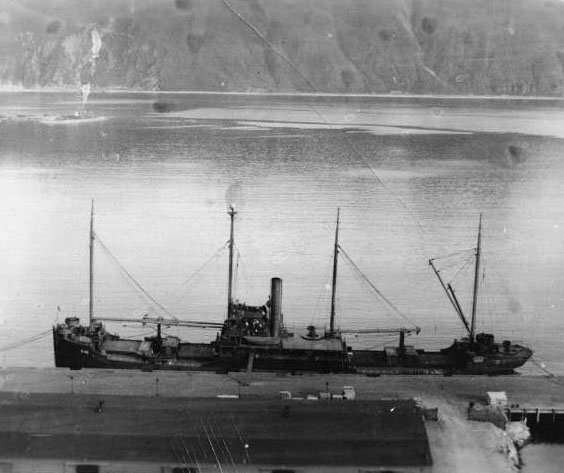 47k USS Anacapa (AG-49) moored pierside in Alaska, 1 January 1945. 60k USS Anacapa (AG-49) enters Floating Drydock ARD-13, 10 February 1945, at Ulithi to receive repairs to her rudder and stern tube, in what appears to be rather battered camouflage. Note the hinged flaps just aft the anchor--a reminder of her previous career as a "Q"-ship. US National Archives photo # 80-G-355446, a US Navy photo now in the collections of the US National Archives. Joe Radigan MACM USN Ret. 102k USS Anacapa (AG-49) in San Francisco Bay on 13 December 1945.